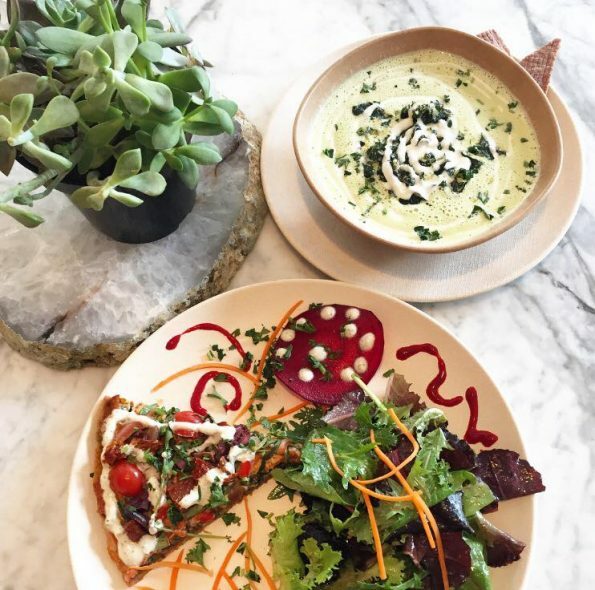 Wild Living Foods, the casual and stylish “Neo-Pueblo” inspired plant-based all-day restaurant located at the corner of 8th and Main in Downtown LA’s Fashion District, is now open. Wild Living Foods is the passion-project of husband and wife team Richard Torres and Lizbeth Sanchez. The concept is inspired by the couple’s “Food Is Spirit” philosophy, with the goal of educating others about the power of clean food and its healing qualities. We created Wild Living Foods after being motivated to make clean food more convenient for the many who desire a healthier lifestyle but don’t have access or are dissuaded by current options. LA is a mecca for healthy cuisine, but we kept hearing from those in our community how inaccessible so much of it was. Wild Living Foods is food by the people, for the people and we’re hoping to encourage our guests to enjoy a lifestyle where they live dirty, eat clean – seven days a week,” explains Richard and Lizbeth on the motivation behind founding Wild Living Foods and the void they hope to fill in the Downtown LA dining community. Spearheading the beverage program is Santino Rice, best known for his appearances on Project Runway, On The Road With Austin & Santino and RuPaul’s Drag Race. In line with Wild Living Foods philosophy that “Food is Spirit” with medicinal benefits, Rice is introducing a wide assortment of: juices and tonics that target various improving digestion, building natural immunities, and detoxification; healing elixirs that assist with one’s mood, performance, and breathing; and creamy milkshakes made with power foods and activated smoothies made with superfoods and other active ingredients.